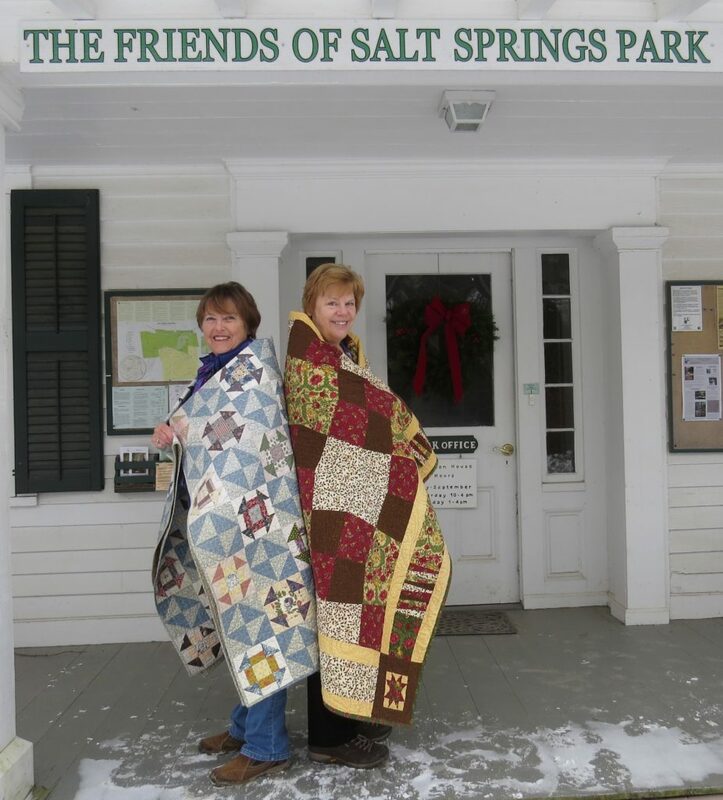 Jayne Stoll and Barb Merritt, Salt Springs Park’s new artists in residence will present Textile Arts Through the Centuries on Sunday, Feb. 10, at 1 p.m.
Jayne Stoll and Barb Merritt wrap up in a quilt on the porch of the Wheaton House at Salt Springs. Park’s Artists in Residence this year. Artists Jayne Stoll and Barb Merritt will introduce their crafts and the history in a program this Sunday at Salt Springs. 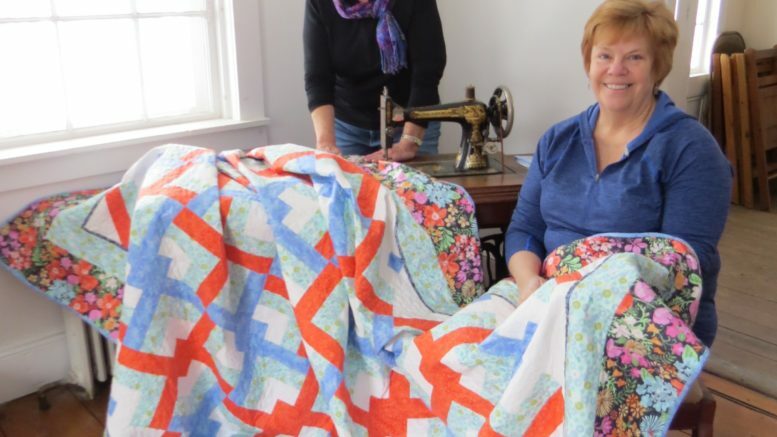 One is described as a creative quilter, while the other prefers trying out new techniques. “Using fabric from my stash is a challenge. Most of my work is scrappy, modern, and not traditional, Stoll added. 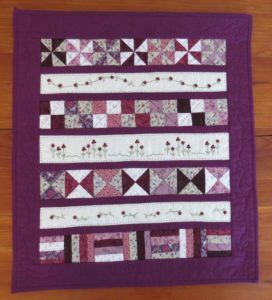 Stoll and Merritt also make quilts for special events, family birthdays, weddings, wall hangings fiber and fabric sometimes embroidery is included in the quilts. Fabric art also hangs in their homes. Jayne is the current program chair of Common Threads Quilters Guild, based in Vestal, N.Y. 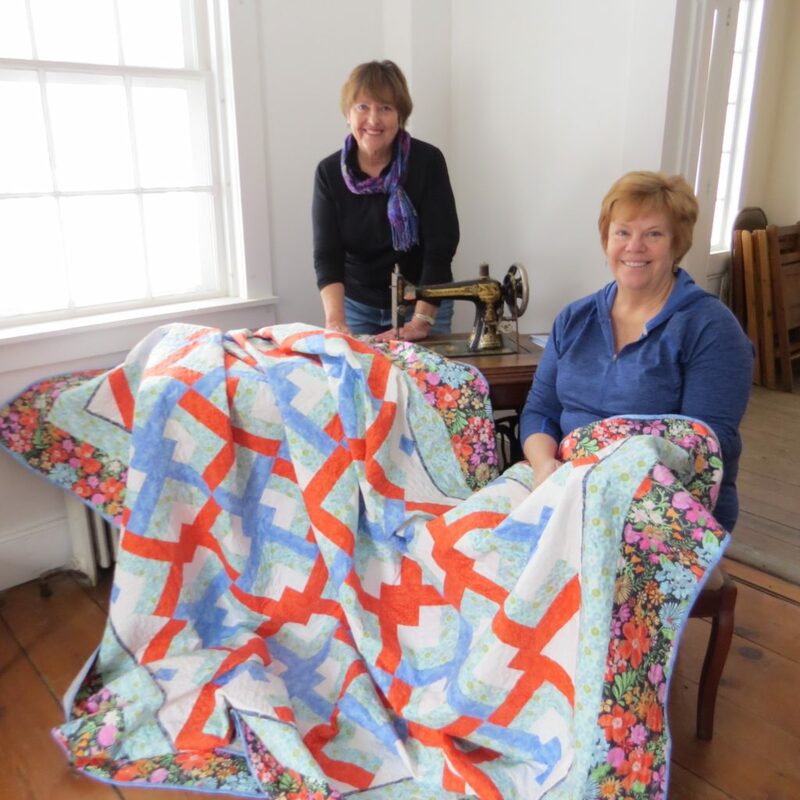 Both artists are serving as co-chairs of the quilt show, Kaleidoscope of Many Hands, scheduled to be held April 27-28 at Broome West Senior Center of Endicott NY. Raffle Quilt Proceeds will go to Salt Springs Restoration Fund. The program will be held at Salt Springs State Park in Franklin Forks. including the one currently on display in the Wheaton House. There is no fee. she hooked up with the Common Threads Quilters Guild. Be the first to comment on "Quilters take up Salt Spring residency"